One lesson I’ve learned the hard way in life is to love my naturally curly hair; there’s not much that I can do to change its texture permanently and healthily. I’m always on the hunt for products that will reduce frizz, make my curls bouncier, give my hair volume and lift. 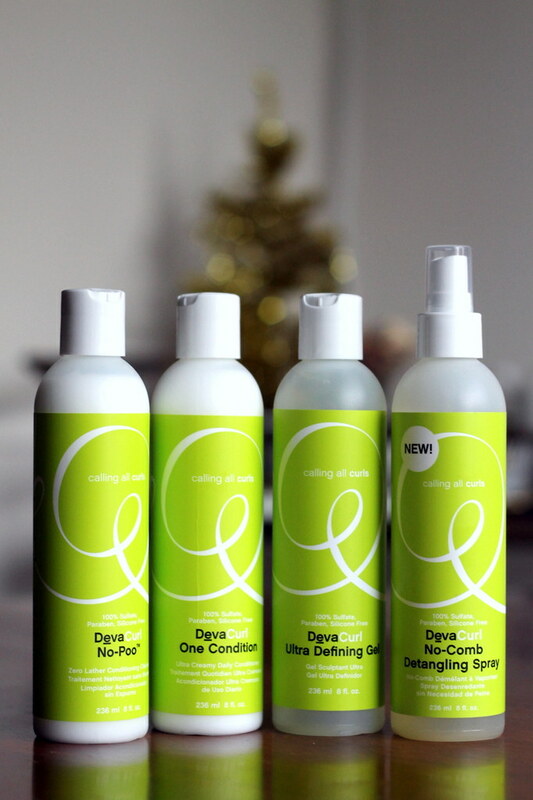 After running out of my other shampoo and conditioner, I went to Ulta and discovered DevaCurl, "a complete line of sulfate-, silicone- and paraben-free cleansers, conditioners and styling products that deliver healthy, naturally gorgeous, frizz free curls" (so their products say). I’ve used the system for two washes now and wanted to give you my first impressions. So the idea behind the no-poo shampoo is to reduce frizz by cutting out the typical shampoo lather. I must admit, not having shampoo lather takes some getting used to—and I’m still getting used to it. I like their conditioner and find it to be very moisturizing. I don’t think the detangling spray works as well as others I’ve tried, but if you like to finger-comb your curls, it’ll do in a pinch. The last step is to use the ultra defining gel; I was afraid this would leave my hair crunchy, but it doesn’t. So … after two washes, what does my hair feel like? I’ve noticed the frizz has been cut down significantly. However, my curls feel a bit heavier, especially at the roots, and they seem a little greasy/stringy even after being washed. I’m going to keep using this, trying to use different amounts of products to see if I can find the sweet spot for clean, frizz-free, bouncy curls. I’ll keep you updated! If you have curly hair, what are your go-to products?